Options and Settings - Disaster Surveyor Systems, Inc. Disaster Surveyor has several options and settings that are cognizant of the type of unexpected emergency environments and countries an International USAR team, or even a domestic team when all power is out may encounter. 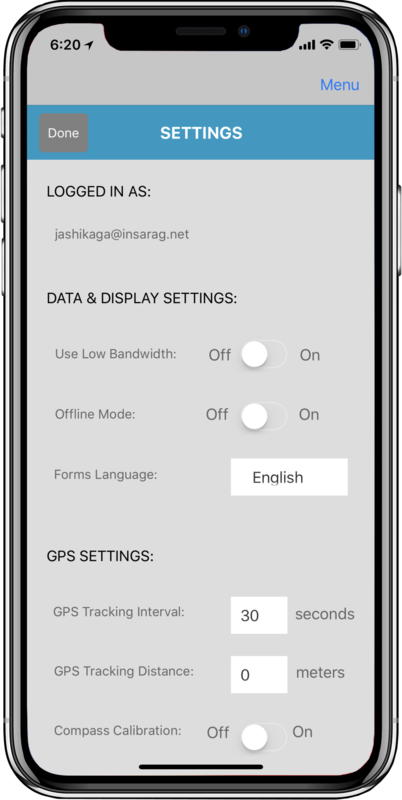 The settings screen allows the user to set GPS tracking interval time, GPS tracking minimum distance delta, and whether the GPS compass calibration screen should be allowed to pop on the screen when calibration is needed. 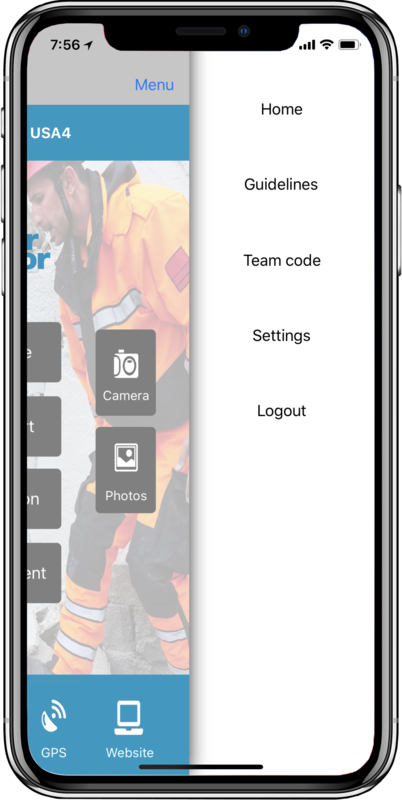 Other unique features include a low bandwidth mode to conserve data and send mission critical info as text JSON packets only, as well as for offline sharing so that form data can be shared directly with team members without a data signal using Bluetooth connectivity. Also included is a language selector which changes the titles and drop down of all fields and elements in the forms (currently English and Spanish, with other languages forth coming).